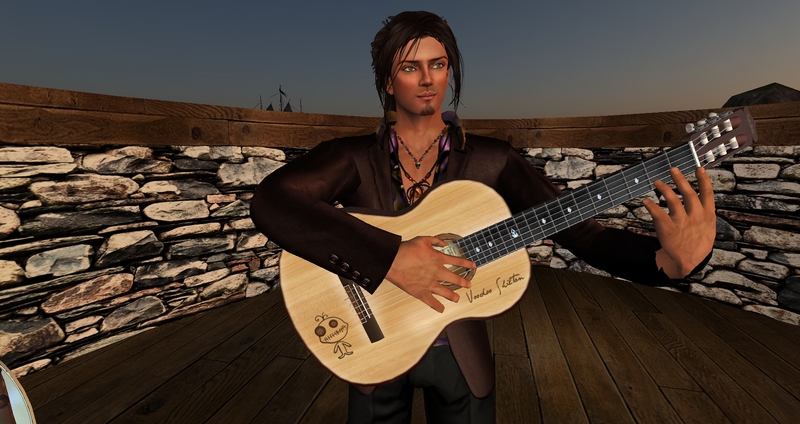 Voodoo Shilton at The Dolphin Cafe, TONIGHT, Wednesday, February 22, 7pm SLT! Get ready for another fun Wednesday night at the Dolphin Cafe with Voodoo Shilton and his amazing guitars, bass, etc. We look forward to seeing you there TONIGHT – here’s your ferry ticket!